A 3D imaging system for diagnosing colorectal cancer A 3D imaging system for diagnosing colorectal cancer more cheaply, quickly and accurately is being developed by scientists in Cork. 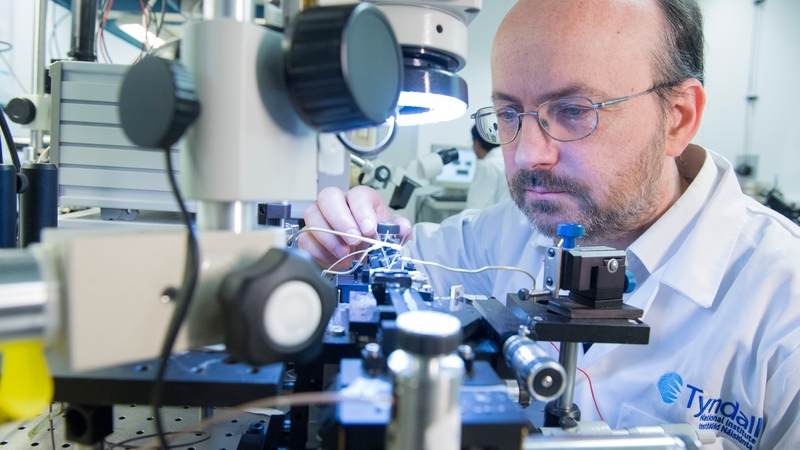 It is part of an EU-funded project involving researchers at the Tyndall National Institute and Cork Institute of Technology which aims to create an endoscope that can recognise polyps in the bowel leading to colon cancer. The PICCOLO project is bringing together experts from across Europe to develop the Optical Coherence Tomography system. It will use light technology, known as photonics, to produce 3D images from an endoscope in a non-destructive manner that can even see underneath the tissue into the structure of the polyp. This means a surgeon will not have to excise the growth in order to establish whether or not it is cancerous. The endoscope will use Multi-Photon Tomography and fluorescence imaging to generate the high-res images. It's hoped the first prototype will be ready by the end of next year, with clinical trials starting in 2020. If the trials go well, the technology could be adapted to tackle diseases in other parts of the body. Although colorectal cancer accounts for one in ten cancer cases around the world, it can be successfully treated if caught early and accurately, with cure rates of up to 90%.